What is waiting in the Strain? Nothing is as it seems in the heart of an icy wasteland. Are you a mercenary or a mutant? As you have to be online to play this title, you will not be able to play the game at all after 12th December 2017. This means the title and any DLC become unplayable from 12th December 2017. 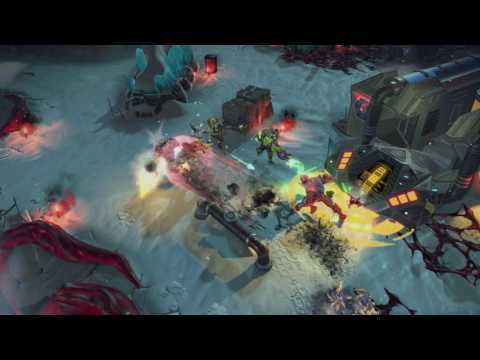 In Kill Strain, three teams are pitted against each other to provide an unpredictable momentum twist. Two human teams of five battle each other for resources and the chance to destroy their rivals' base. At the same time, they must fight a third team - of bloodthirsty mutants. Will you play as the cunning humans, boasting the firepower to defeat rival humans and the Strain-infected mutants? Or will you play as the ravenous mutants and wreak havoc on every opposing human player to quench your thirst for flesh and destruction? With mutants looking to turn all humans into their hungry allies, the side you serve isn’t necessarily your choice. Ever-evolving gameplay means survival can only be achieved by the quickest-witted. Keep your wits about you in this frantic top-down, online shooter. Play as part of one team pitted against two others on an intense, ever-changing battlefield. Two teams of humans must face off against each other, grabbing resources and ultimately destroying their rival's base. Meanwhile, a third team of player-controlled mutants prowls the conflict zone, looking for enemies to infect and turn into allies. Level up and customise your mutant and human characters to fit your approach. 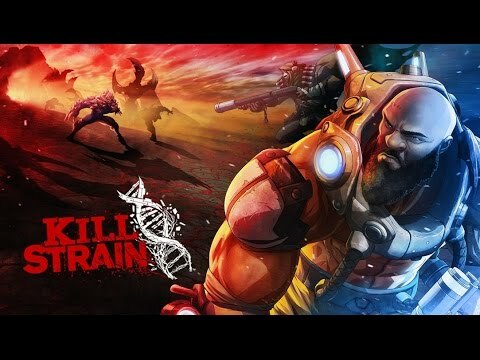 Download Kill Strain on PS4.